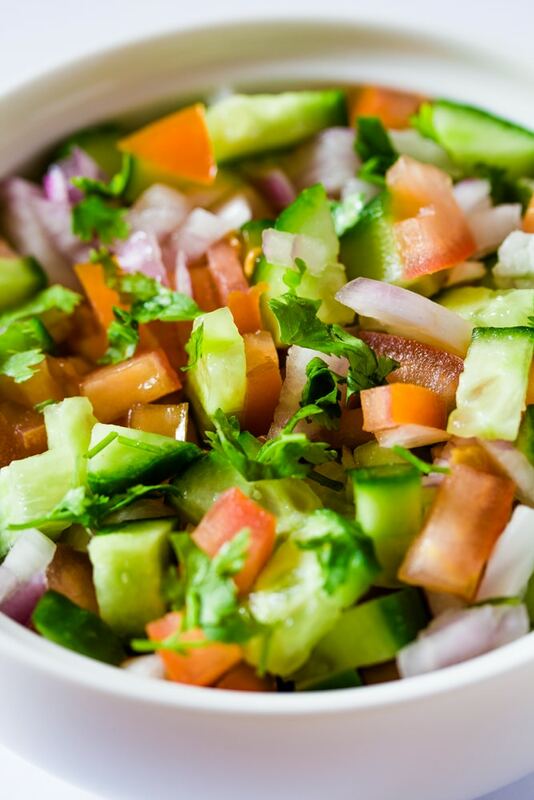 Indian Salad is a basic yet delicious everyday salad that’s made all over Pakistan and Indian. 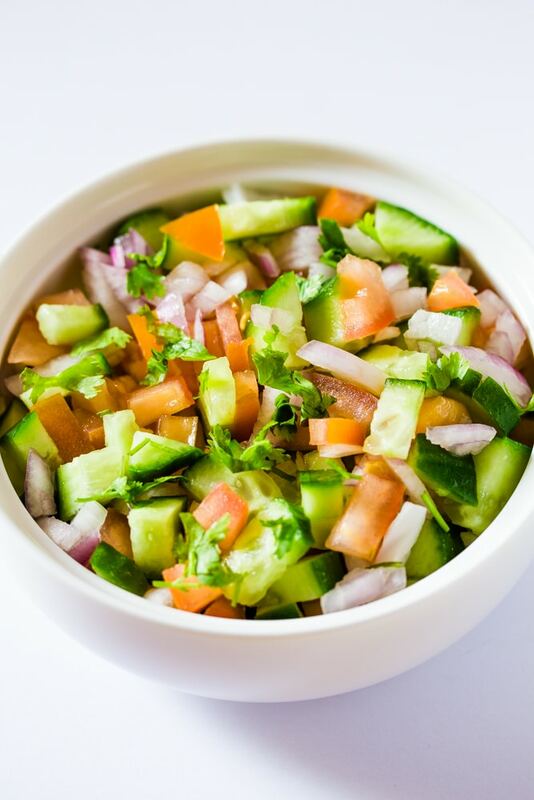 It’s also commonly known as Kachumber Salad, and is ready in just a few minutes and goes perfectly well with many mains such as Daal. We’ve got a great collection of salads on I Knead to Eat, ranging from Greek Salad to Honey Rainbow Pineapple Fruit Salad. If you’re looking for a sweeter salad then do check out this Strawberry Kiwi Cheesecake Salad. 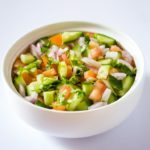 I almost didn’t want to post this easy Kachumber Salad, because it’s such an easy and basic recipe. But I’ve often found that it’s the simplest recipes which are most popular, so I thought to myself, why not? So How Do You Make Indian Salad? This is literally the easiest salad ever, and takes just a few minutes to make. 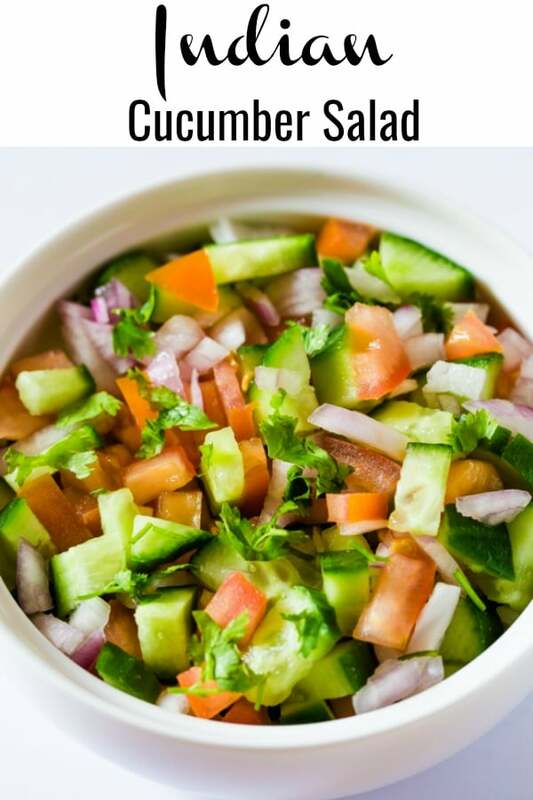 The unique thing about Kachumber or Indian Salad is that all the vegetables are chopped finely. 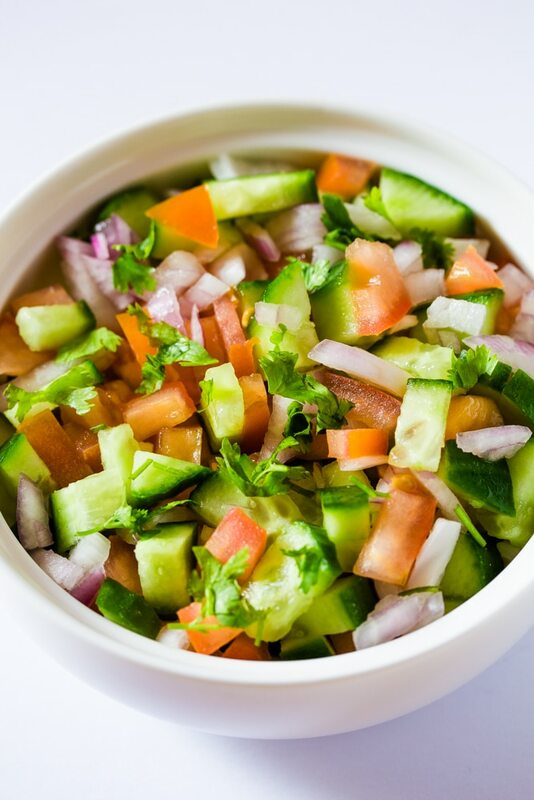 The ingredients you need for Kachumber salad are tomatoes, cucumber, onions and chopped coriander. Some recipes call for green chillies as well, but since I have little ones at home, I try to avoid spice. Contrary to western salads, most Indian salads are served without a dressing. However, for this Kachumber or Indian Salad, a squeeze of lemon juice is added. Some variations of the salad also call for a sprinkle of spices such as black pepper or red chilli powder. 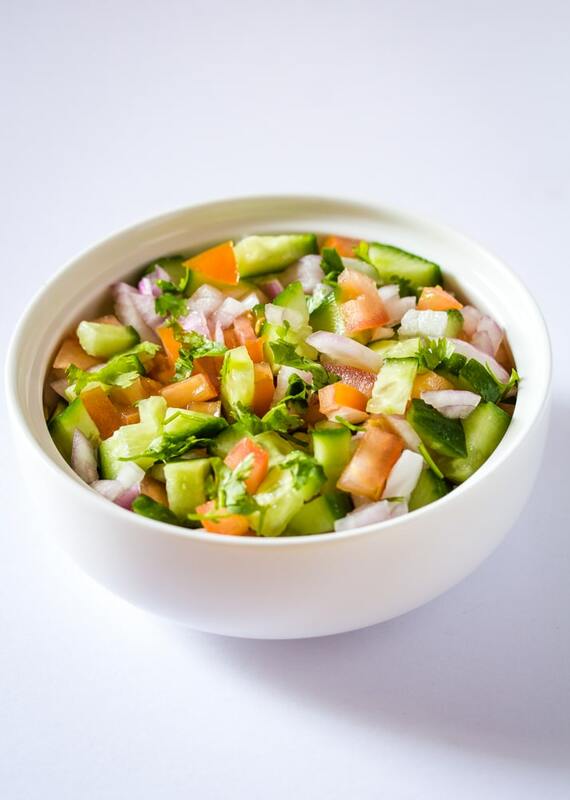 Kachumber Salad can also be made into a cooling raita, by adding some yogurt and tossing it all up. It can even be used as a healthy dip for chips! Chop all the ingredients finely, and toss together.